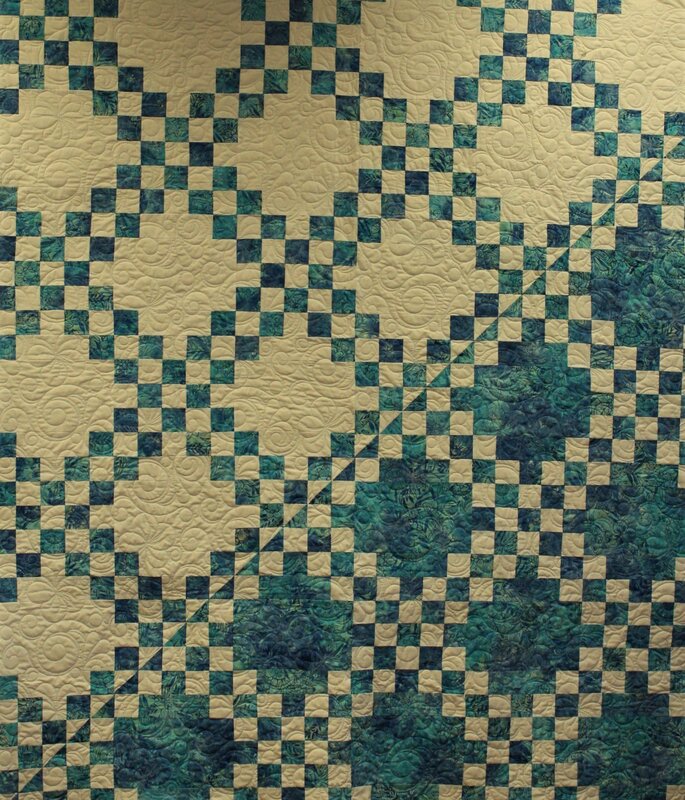 Here is Michael's twist on a Double Irish Chain allowing you to choose two of your fabrics as the focus "changes" half way through the quilt. Finished size is 60" X 70". Pins, Scissors and basic sewing supplies.